Cherry Spring was a stop along the San Antonio-El Paso road and had a moderate success taking care of the needs of travelers. 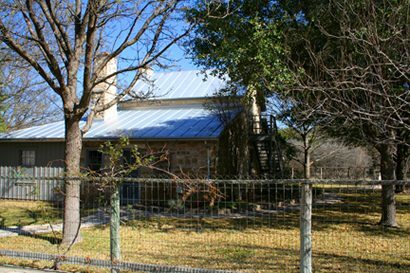 The community dates from the late 1840s / early 1850s when German settlers left the safety of Fredericksburg to strike out on their own. Dietrich Rode and William Kothe are credited with being town founders. 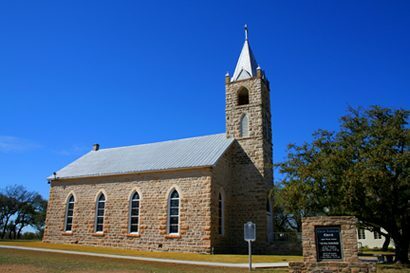 A Lutheran church was built there in 1849. A post office was opened by 1858, and within two years there were over 200 people - three quarters of them German immigrants who farmed and/or kept sheep. 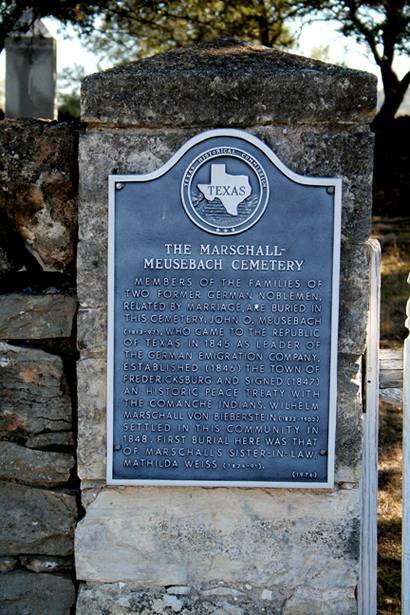 Famed German colonist and Indian negotiator John O. Meusebach was buried at Cherry Spring in 1897. 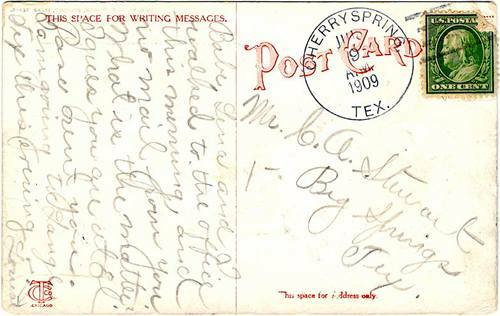 Without a railroad and far from large cities, Cherry Spring never grew past it's initial growth spurt - and by 1912 there still weren't enough people to warrant a post office. In 1933 the population was reportedly 40 - but in the 1960s it fell to less than 10. 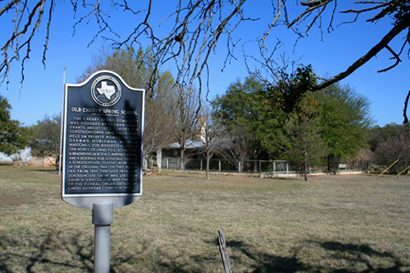 It increased to 75 about the time Fredericksburg was being "discovered" in the late 1960s and the same figure is given in 2004. 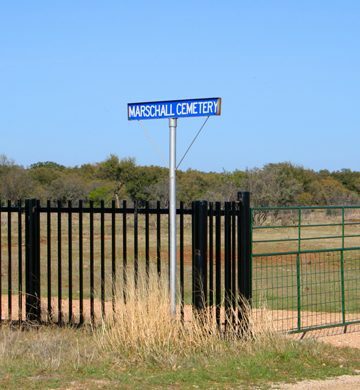 Detailed TXDoT maps of Gillespie County show no fewer than twelve cemeteries within eight miles of Cherry Springs. 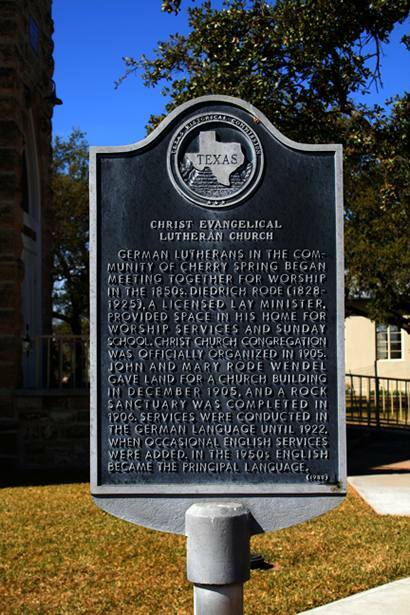 German Lutherans in the community of Cherry Spring began meeting together for worship in the 1850s. Diedrich Rode (1828-1925), a licensed lay minister, provided space in his home for worship services and Sunday School. Christ Church congregation was officially organized in 1905. John and Mary Rode Wendel gave land for a church building in December 1905, and a rock sanctuary was completed in 1906. Services were conducted in the German language until 1922, when occasional English services were added. In the 1950s English became the principal language. 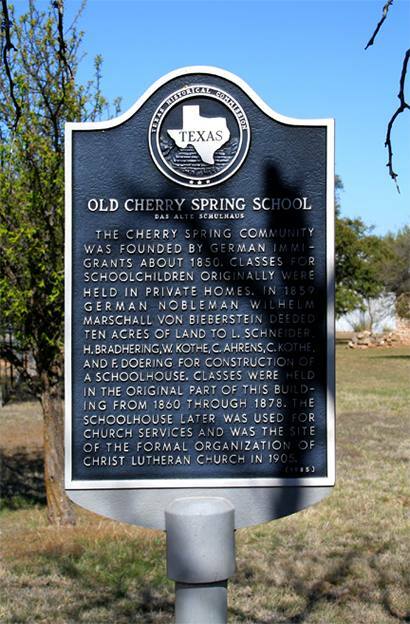 The Cherry Spring community was founded by German immigrants about 1850. Classes for schoolchildren originally were held in private homes. 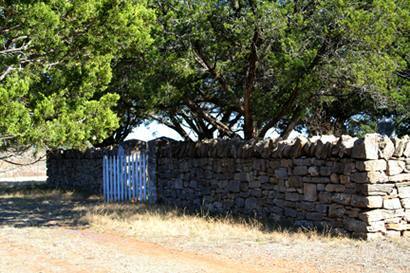 In 1859 German nobleman Wilhelm Marschall Von Bieberstein deeded ten acres of land to L. Schneider, H. Bradhering, W. Kothe, C. Ahrens, C. Kothe, and F. Doering for construction of a schoolhouse. Classes were held in the original part of this building from 1860 through 1878. 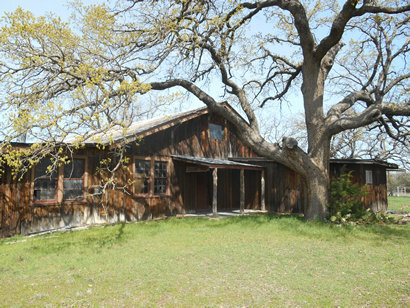 The schoolhouse later was used for church services and was the site of the formal organization of Christ Lutheran Church in 1905. 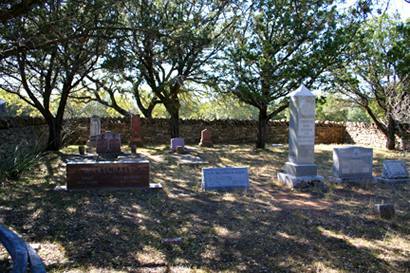 Members of the families of two former German noblemen, related by marriage, are buried in this cemetery. 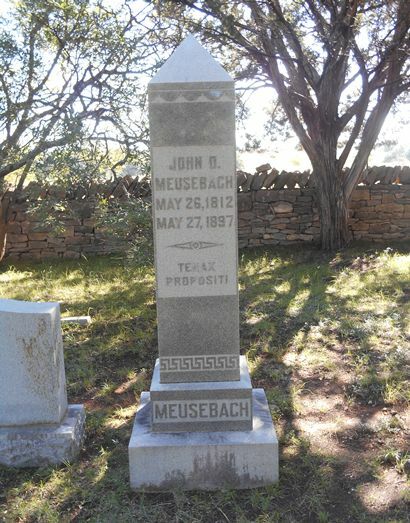 John O. Meusebach (1812-97), who came to the Republic of Texas in 1845 as leader of the German Emigration Company, established (1846) the town of Fredericksburg and signed (1847) an historic peace treaty with the Comanche Indians. Wilhelm Marschall Von Bierberstein (1822-1902) settled in this community in 1848. 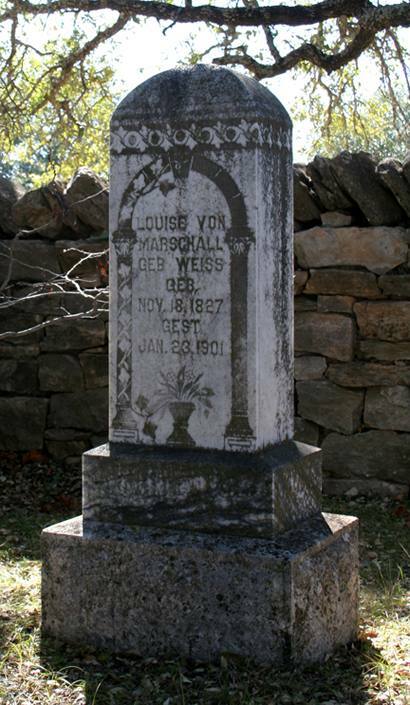 First burial here was that of Marschall's sister-in-law, Mathilda Weiss (1824-91). "What looked like the oldest stone was carved in German." GEB short for "gebuertig" or "born as"